good place for cheap price. The staffs were very kind. 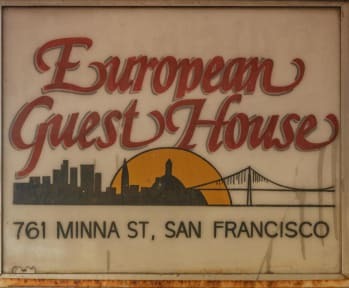 It’s a good hostel for such a low price in SF. I expected less due to all of the negative reviews but was pleasantly surprised to find relatively clean facilities as well as dorm rooms. The reception staff on the first night of my stay was exceptionally friendly and helpful (I forgot her name) but on the second day there was a guy that just didn’t seem to enjoy working there at all. Pretty rude and not polite either. Overall good. Except the restroom is not clean. In the morning, the housemaid talked on phone really loud. I won't mind if its later in the day but this was still early. We didn’t have high expectations for when we arrived as the price was a lot lower than any other places we were looking at. Although, even for the money we paid it really was not acceptable. We had a six man dorm and it was tiny, and we couldn’t even fit in the room with our bags on when we arrived. The hostel has a horrible smell throughout the building and not a very good atmosphere. I think even for the small fares we paid per night we deserve a higher level of cleanliness than what we got. I felt uncomfortable there. The atmosphere was bad, the smell it’s awful, it’s not clean.